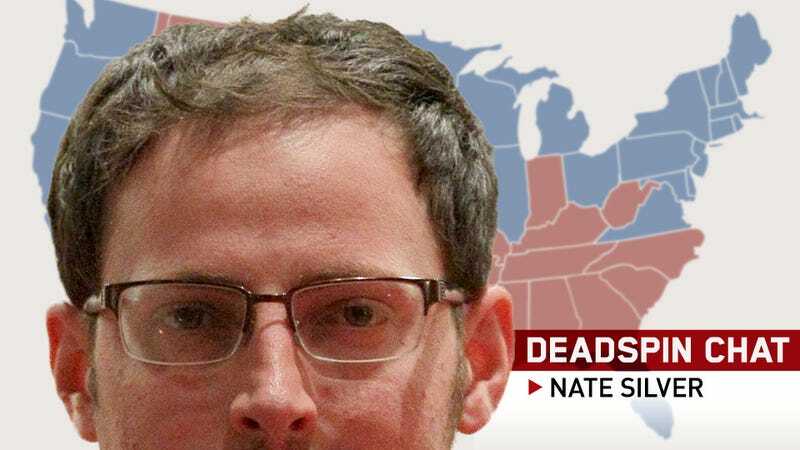 Nate Silver—the baseball analyst/metapollster/scary math witch who has given us both the PECOTA player forecasting system and the indispensable FiveThirtyEight blog—is in the discussion below, awaiting your questions. Go buy his book, The Signal and the Noise. We predict that you'll like it. Update (4:30 p.m.): Nate's done. Thanks for the questions, everyone.